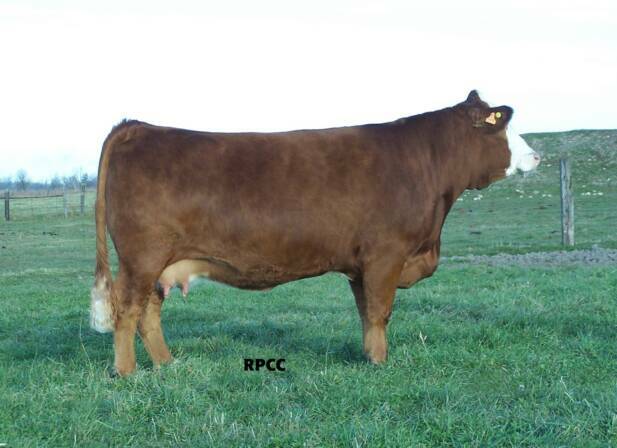 with RPCC Lady Trinity 215T on her side. 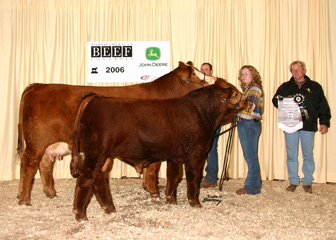 *GRAND CHAMPION FEMALE AT THE 2010 ROYAL! 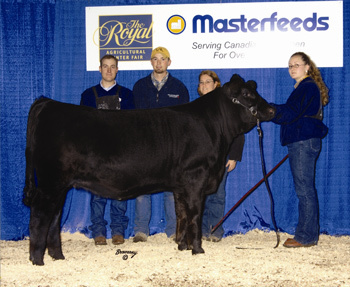 *Black Candy was named Reserve Sr. Champion Female at the '08 Royal!! 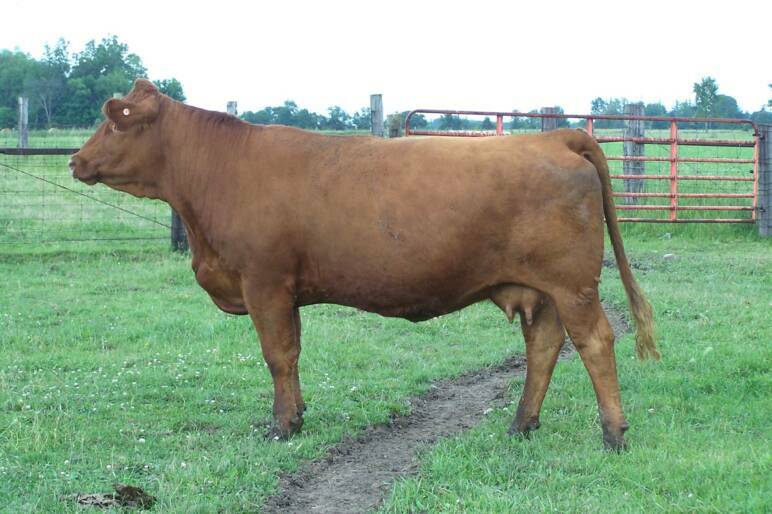 *Had a awesome Trademark '09 heifer calf & '10 bull & '14 bull calf! 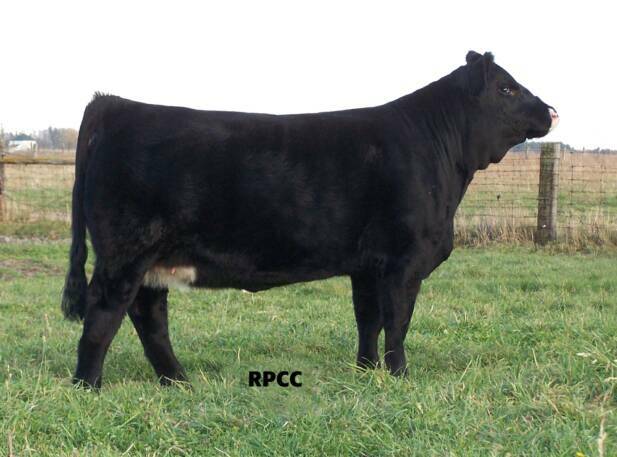 2014 son for sale! 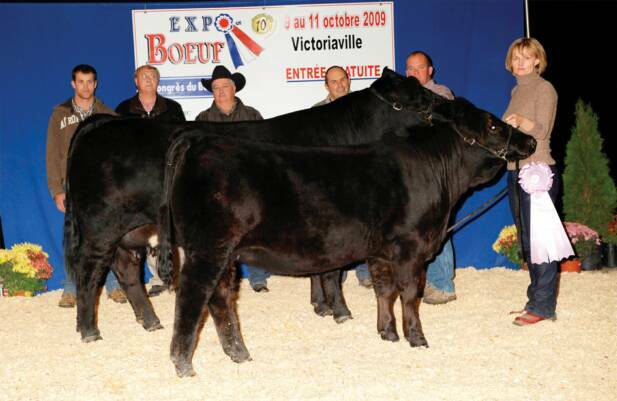 *Grand Female '09 Beef Expo, then Reserve Supreme over all breeds! 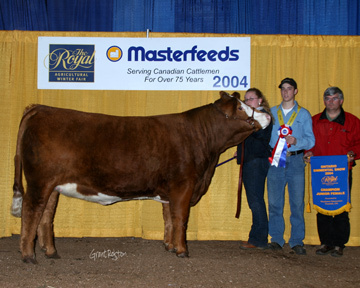 *Her awesome '09 heifer calf was Sr Calf Champion at the Royal!! 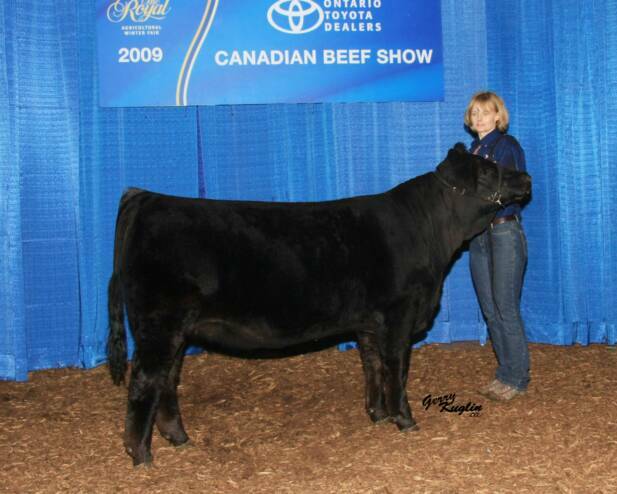 *Dam of the 2014 Royal Grand Champion Female! 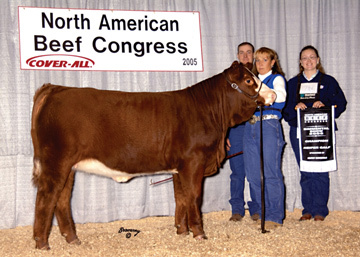 *2009 National Sr. Heifer Calf Champion at the Royal!! 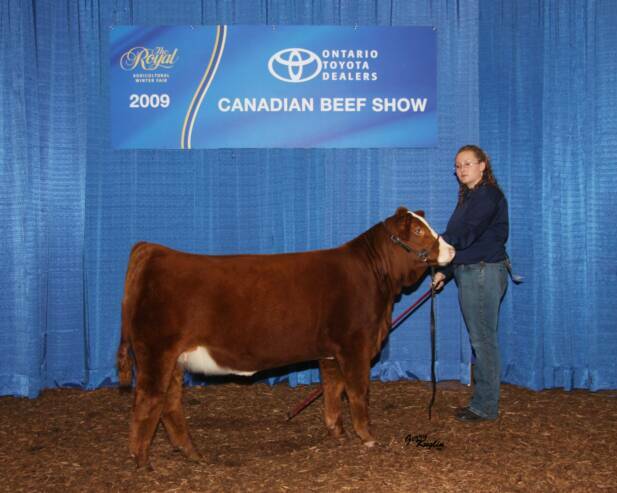 *GRAND CHAMPION FEMALE AT THE 2014 ROYAL!! 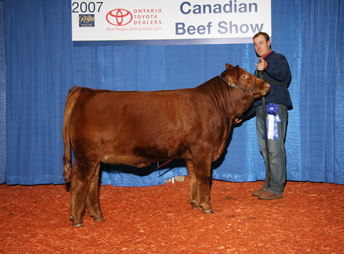 *Many time red ribbon winner! 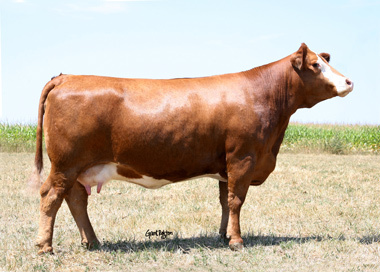 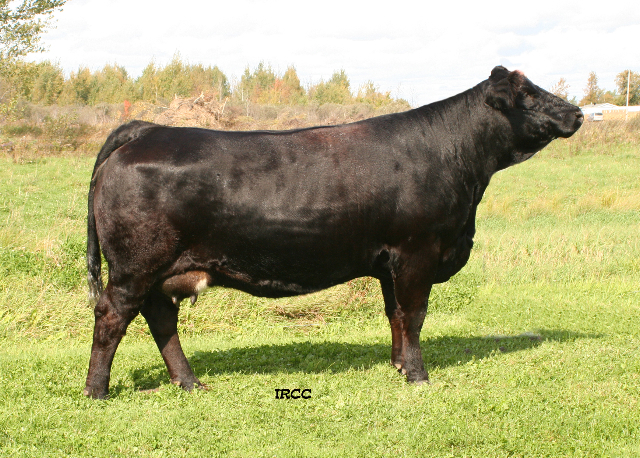 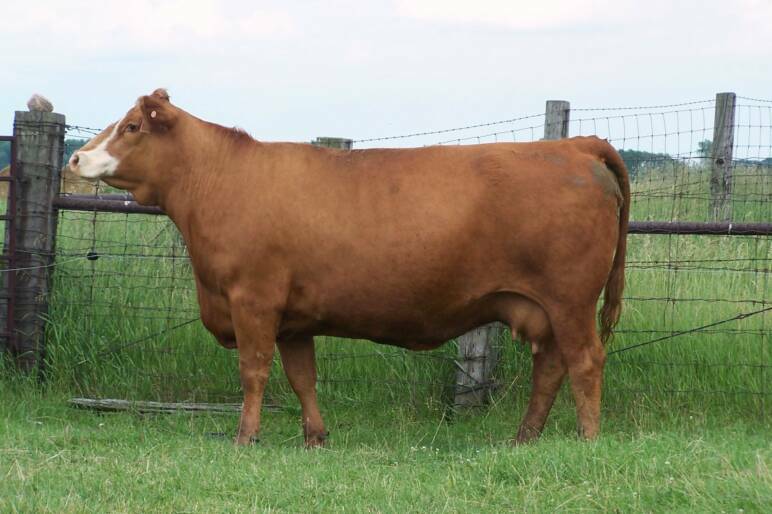 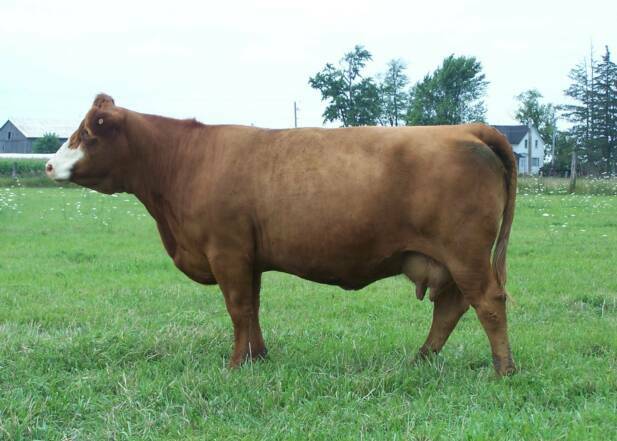 *Grand Female '09 Beef Expo, then Reserve Supreme over all breeds along side her dam. 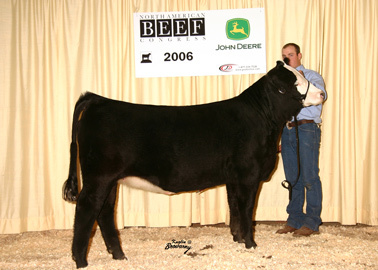 *The most talked about Junior heifer calf in 2009! 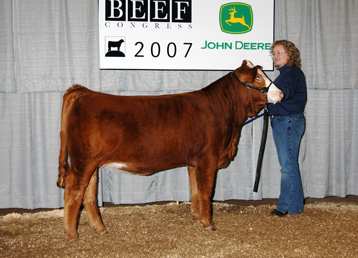 *raised the Grand Champion Jr Heifer Calf Champion at the 2014 Royal, "Butterscotch"